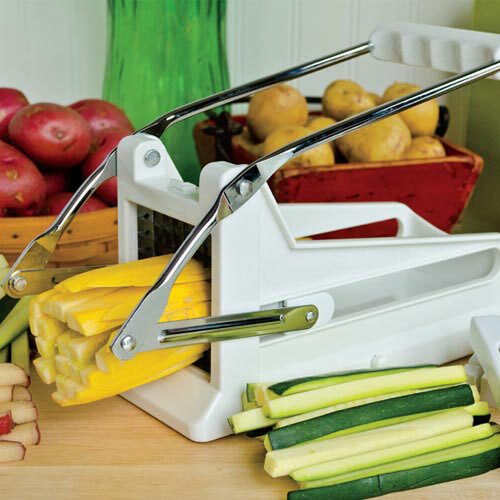 French Fry & Vegetable Cutter | Gurney's Seed & Nursery Co.
Makes French Fries in a Snap! The fastest way to make perfectly uniform veggie sticks and fries! Ideal for party platters, this convenient cutter comes with two blades. One has 25 holes and is perfect for larger vegetables, while the 49-hole blade makes smaller sticks. Easy to operate lever action. Plastic and stainless steel construction. 9.8 in. x 4.2 in. x 4 in.